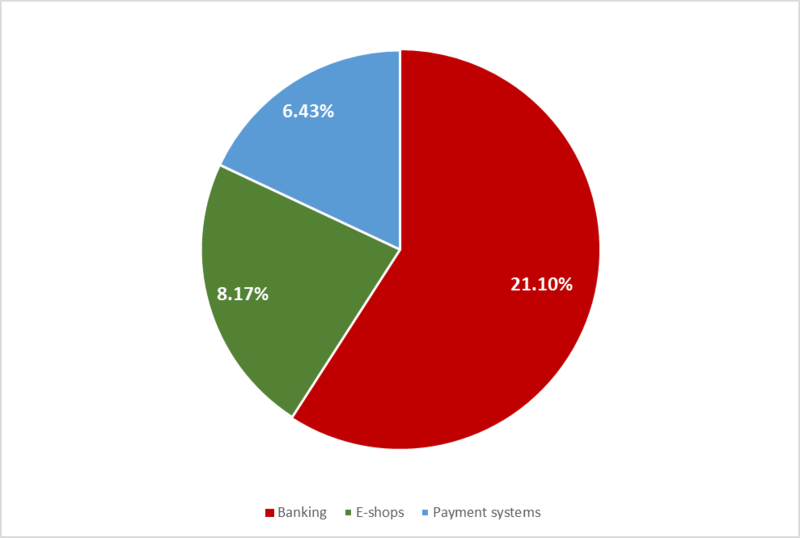 • In the second quarter of 2018, Kaspersky Lab’s anti-phishing technologies prevented over 107 million attempts to visit phishing pages, of which 35.7% were related to financial services and targeting customers through fake banking or payment pages. The results above show that to protect their money, users should be extremely cautious about their security when they surf the Internet. Attacks on customers of financial organizations, including banks, payment systems, and e- shop transactions, are an enduring trend in cybercrime and involve the theft of money as well as of personal data. By creating fake pages of banking, payment or shopping sites, intruders harvest sensitive information from unaware victims – such as their name, password, e-mail addresses, phone numbers, credit card number, and PIN code. “The permanence of attacks targeting financial organizations reflects the fact that more and more people are using electronic money. Still, not all of them are sufficiently aware of the possible risks. So, intruders are actively trying to steal sensitive information through phishing,” said Nadezhda Demidova, lead web content analyst at Kaspersky Lab. In comparison with Q1, the share of attacks on financial organizations decreased by 8.22 percentage points and became 35.7%. However, IT companies added 12.28 percentage points. The share of attacks on these companies in Q2 was 13.83%.